DAVOS-KLOSTERS, Switzerland — Jan. 19, 2016 — Microsoft Corp. CEO Satya Nadella announced a new three-part initiative to ensure that Microsoft’s cloud computing resources serve the public good. 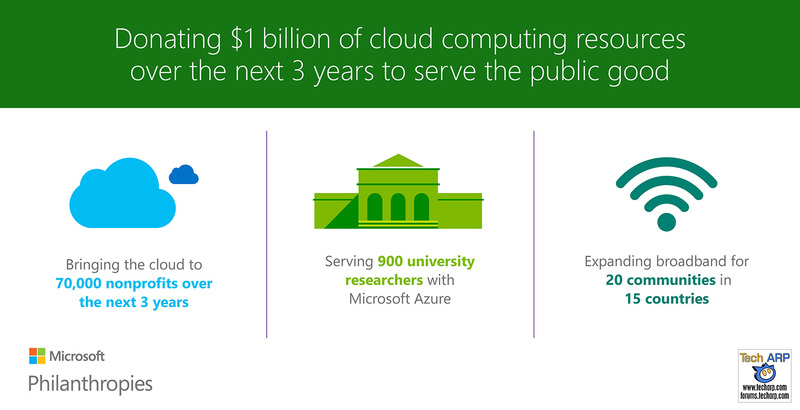 As part of this initiative the recently formed Microsoft Philanthropies will donate $1 billion of Microsoft Cloud Services, measured at fair market value, to serve nonprofits and university researchers over the next three years. Previous : AMD “Star Wars Battlefront” Bundle Extended! Next : The 6th Gen Intel Core vPro Processors Revealed!